With its tenth anniversary Galaxy flagship phones, Samsung was apparently hoping to turn the tide around and attract more sales than the Galaxy S9 and Galaxy Note 9. The Galaxy S10 comes with a rear triple camera setup, an in-display fingerprint scanner, and massive internal storage for the average user. It also comes with a massive design change when compared to its predecessor. However, if the latest reports originating from Korea are anything to go by, these feature-packed phones failed to perform as expected in Samsung’s home ground, most likely causing concern for the technology behemoth. The three major mobile carriers of South Korea, KT, SK Telecom, and LG Uplus started receiving pre-orders for the new phones from February 25 and shipments started going out on March 4. Per unverified reports, pre-orders for the Samsung Galaxy S10e, Galaxy S10, and Galaxy S10 Plus came in at 140,000 on the first day. Comparatively, 180,000 units of the Galaxy S9 were booked on its first day last year and the Galaxy Note 9 attracted 200,000 subscribers when the pre-orders were opened in August 2018. Related Galaxy S10 Plus – How Much Does It Cost Samsung to Make a Single Unit of Its Latest Flagship? The Galaxy S9 had already not sold well and for its successor to perform even worse would be a legitimate cause of concern for the South Korean giant. 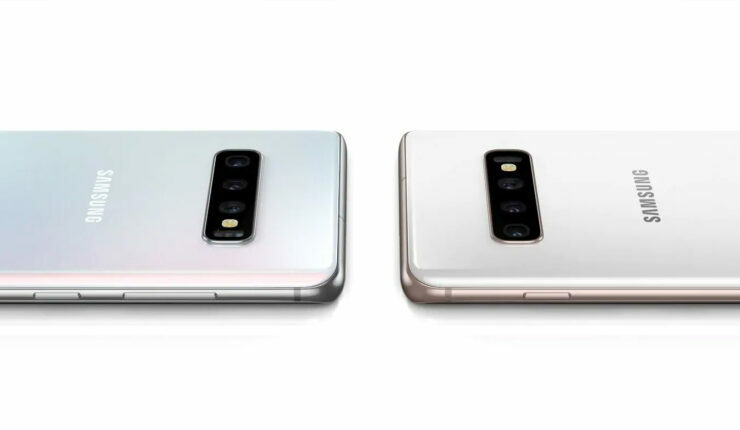 There could be various reasons behind the alleged poor initial performance of the Galaxy S10 lineup. First off, it carries an inflated price tag. Other than that, Samsung is going to release a 5G variant of the Galaxy S10 later this month and people might have sat out the 4G LTE Galaxy S10 phones in anticipation of that model. Later on, in May, the company is going to launch the Galaxy Fold, and it could be that customers want to have all the choices on the table before taking a pick. Lastly, the overall smartphone marker is not doing well in general and customers are holding on to their older devices for longer, which could explain the low pre-orders. Either way, the stats do not look good for Samsung. On the other hand, some reports claim that the phones are doing comparatively better in China and the U.S. However, with no official figures from Samsung itself, it’s too soon to comment on the market performance of the Galaxy S10. It’s also a prudent practice to not judge the sales performance of the flagship by simply seeing how many pre-order numbers were recorded.